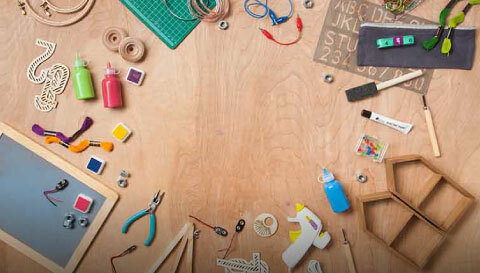 Get your 2-year-old engaged with these fun and creative crafts that are perfect for toddlers. Put those leaves that have fallen in the yard to good use with this DIY Leaf Glitter. My kids discovered sand paper and were intrigued. We had to find a use for it and a sand castle was perfect! Your toddler or preschooler will love to go on a nature walk and then experiment with the items you collect! It's super simple to make paper beads! Here, we add a toddler twist: making bigger beads for a colorful paper bead necklace. This simple paper plate snail craft is the perfect way to let your child show his creativity. Put a fun twist on water play this Summer with a DIY Frog Pond!